This is the classic low hedge used in many gardens. 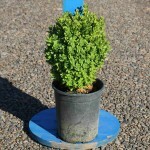 A dense, slow growing shrub with small, dark green leaves. 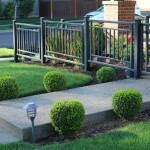 It is useful as a low edging plant and in formal plantings. Prefers a well-drained soil, with reliable moisture, in full sun to light shade. Prune as needed for form.